Teesside University is the top North-East higher education institution for graduates securing professional and managerial level jobs, data has revealed. 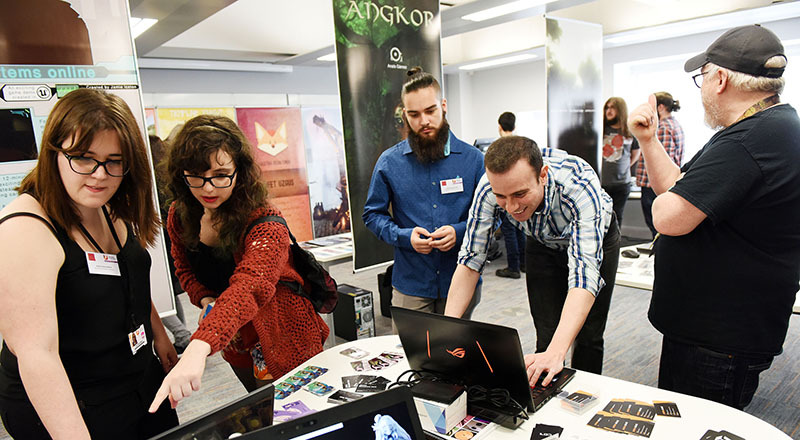 ExpoTees, the School of Computing's annual student showcase, is used by many major employers to recruit graduate talent. 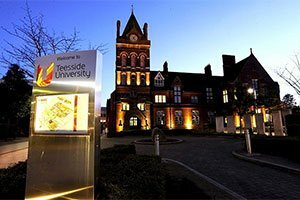 Just six months on from graduating from Teesside University, 57 percent of graduates secured graduate level jobs in professional and managerial roles. The national average is 55 percent. 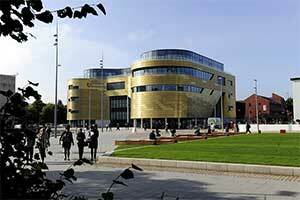 This result puts Teesside University top of the region’s five universities, with Teesside the only institution to see a rise in students securing graduate level jobs after completing their studies. 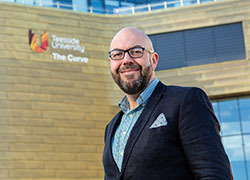 Professor Paul Croney, Vice-Chancellor and Chief Executive said: 'We are delighted that Teesside University graduates are so valued by employers seeking to fill graduate-level vacancies. 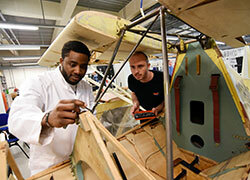 'This reflects our commitment to providing an excellent student and learning experience. We will continue to strive to ensure our students realise their potential beyond graduation. 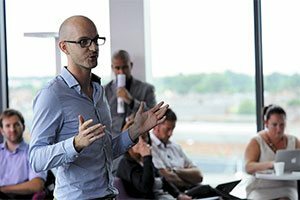 Teesside University’s Student Futures Strategy has been developed specifically to ensure that its graduates are the best that they can be in terms of their knowledge, skills and behaviours. 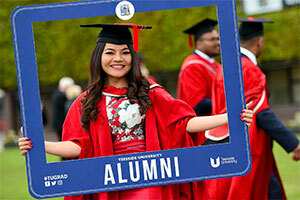 Teesside is extremely committed to building ever stronger links between employers and students, working with the business community to determine how the University can meet their graduate talent needs whilst simultaneously developing ‘world-ready’ graduates. One of the country’s leading recruitment agencies, Reed NCFE, is currently based at the University and works with students and employers to ensure that businesses can match their vacancies to the best graduate talent. It is fantastic to see that the delivery of our Student Futures Strategy is paying dividends, not just for our graduates, but also for our partners in the business community who are being helped to scale and grow their companies with the skills and knowledge that our graduates bring. The University’s award-winning graduate enterprise initiatives actively encourage entrepreneurship among students, offering a career pathway to those seeking to start their own business. Professor Jane Turner OBE, Pro Vice-Chancellor (Enterprise and Business Engagement), added: 'Teesside 2020, the University’s five-year strategy, sets out a clear vision for working with employers and organisations to ensure graduates with relevant work experience, poised to make significant real-world impact. 'It is fantastic to see that the delivery of our Student Futures Strategy is paying dividends, not just for our graduates, but also for our partners in the business community who are being helped to scale and grow their companies with the skills and knowledge that our graduates bring. The figures are taken from the Destinations of Leavers from Higher Education (DLHE) survey for 2015/16, which collects information on what leavers of higher education programmes are doing six months after graduating from their course. 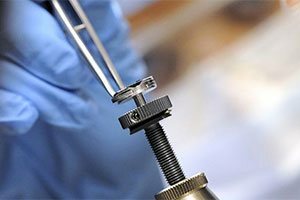 The DLHE survey is completed on behalf of the Higher Education Statistics Agency (HESA), the central source for the collection and dissemination of statistics about publicly funded UK higher education. 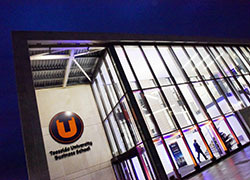 Teesside University has also been recognised as the best in the region for getting its graduates into professional roles.Just six months on from graduating, almost 57 percent have secured a job.